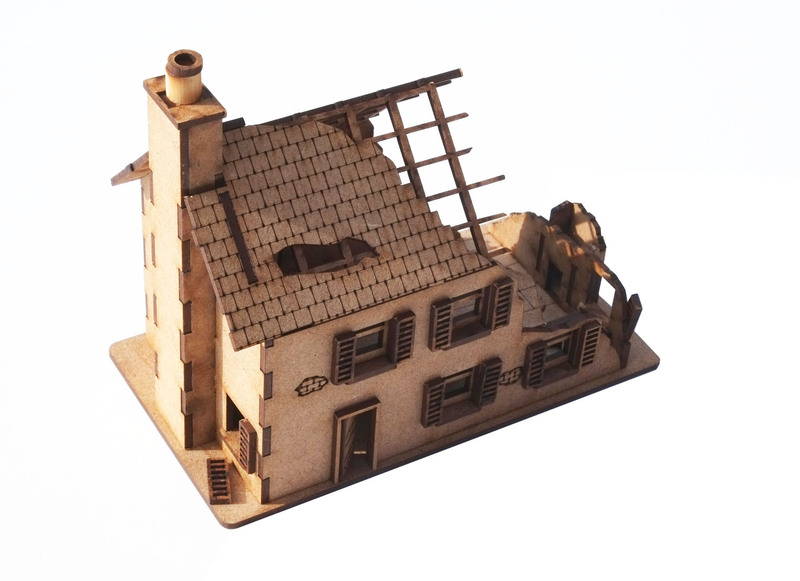 Laser cut 2mm MDF kit that's a 20mm version of our popular 28mm range. This kit has all the same detail as it's bigger brother including removable roof, removable floor and laser etched detail. The kit measures 135mm x 80mm x 110mm high.